Introducing a collaboration project between the popular Gintama series and Koshu Inden, a traditional Japanese craft from Yamanashi Prefecture! We’re sorry, but this product cannot be shipped to your country. This project is intended for those residing in Japan. We apologize for the inconvenience, but it is not available for purchase outside of Japan. 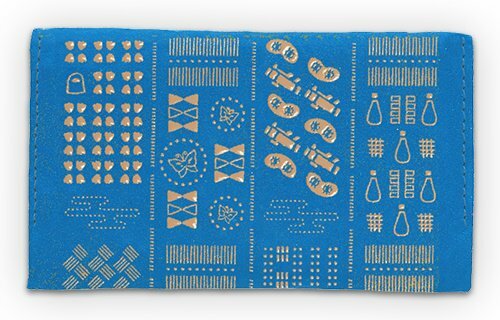 Koshu Inden is a traditional Japanese craft from Yamanashi Prefecture that is created with natural deer leather. After being treated through a special tanning process, the leather is dyed and decorated with patterns of lacquer. People throughout history have greatly valued Koshu Inden products for the softness, durability, and beauty of the treated deer leather. Original techniques for applying lacquer of Koshu Inden were used during the Edo Period and have been passed down to the present day. This Gintama collaboration Koshu Inden product stays true to traditional techniques. 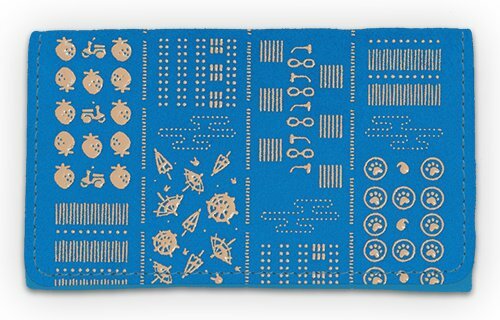 It features an original design with deer leather dyed in a refreshing blue color that is covered in motifs based on Gintama characters. The raised and glossy surface of the lacquer applied is one of its distinctive traits, and the surface becomes even glossier after continued use. Each and every card case is skillfully crafted by experienced artisans. Store your business cards inside it, or put it to use as your card holder. 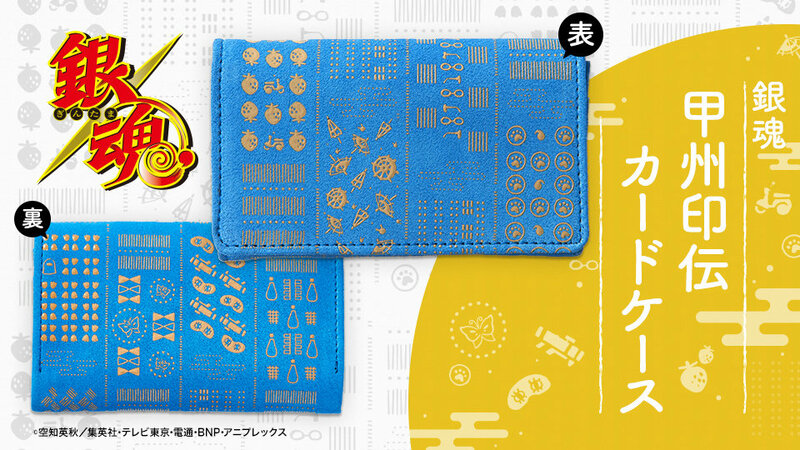 Each card case is nonchalantly covered with Gintama character motifs, making it perfect for everyday use. Inside the case, the Stalked Gorilla is always there to secretly watch over you. In addition to the main pocket that is perfect for business cards, the card case also features a side pocket and an upper pocket for added convenience. 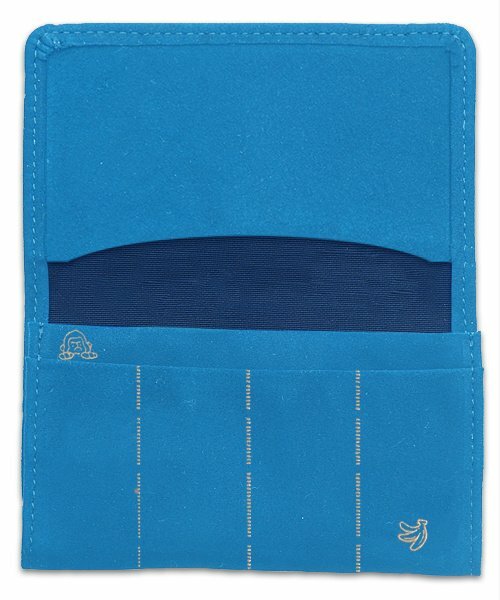 The soft deer leather makes the card case fit comfortably in your hand. It also allows for easy storage and withdrawal! Koshu Inden is a traditional Japanese craft using treated deer leather that originated in Kofu City, Yamanashi Prefecture. Its traits include its softness, lightness, durability, and also the way it becomes more attractive as it ages. Deer leather has been used in Japan since the Jomon Period. Since then, treatments and techniques of working with deer leather as armor accessories and bags have continued to be developed. During the early Edo Period, leather artisans came up with the idea to apply lacquer to leatherwork from Yamanashi (previously known as Koshu). That is why the Kai Province (another former name of Yamanashi) has become the main manufacturing area until now. 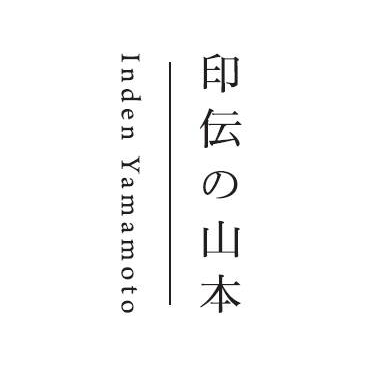 At Inden Yamamoto, each Koshu Inden product is manufactured through well-established methods and skillful techniques under the supervision of the only craftsperson who is currently certified as a Koshu Inden Traditional Craftsperson (Comprehensive Department). While paying respects to the traditions that the pioneers have established, we continue to challenge ourselves in designing Koshu Inden products that are perfect for current times. 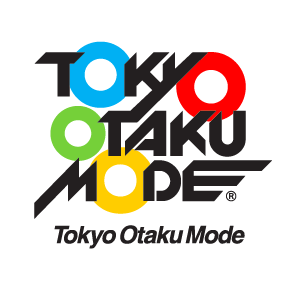 Through its Facebook page with over 20 million likes and its e-commerce site, the Tokyo Otaku Mode Shop, Tokyo Otaku Mode (TOM) distributes a wide variety of products related to anime, manga, games, music, and fashion. TOM also shares the latest news from each genre. TOM’s mission is to be the quickest in delivering the newest Japanese content to fans around the world. A: Rewards are scheduled to be shipped out in December 2017. *Please note that the scheduled time of shipment is subject to change based on the number of orders received. 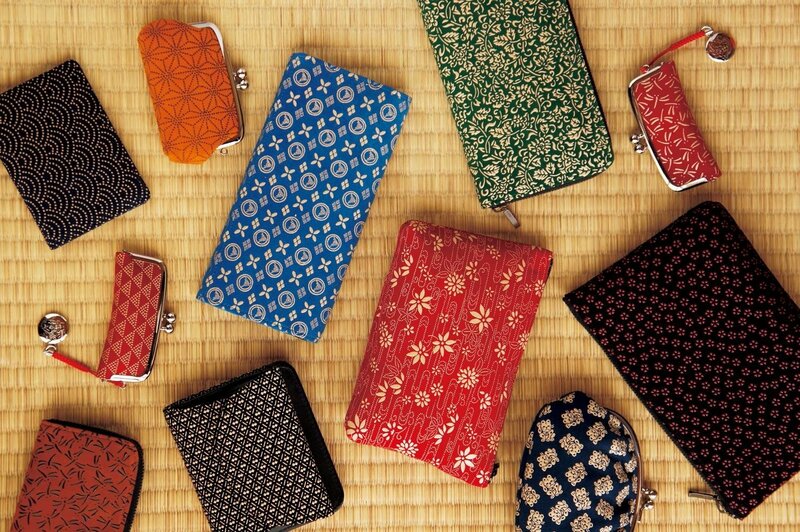 *As each card case is made of natural deer leather and hand-painted with lacquer, the hue and motif positions of each product may vary from what is shown in the images. Please enjoy the one-of-a-kind appearance of your particular product. *Please note that the lacquer may crack or peel if the card case is bent or scratched. *Exposure to water may cause the changes in the appearance of the card case. Colors may also transfer to clothing and other materials. *The product is distributed only after the lacquer has completely dried and should not cause rashes. If you experience irritation when using this product, please immediately discontinue use and consult a physician. We’ve released photos of the finished product! Gintama Koshu Inden Card Case will be on display and available for pre-order at Kyomaf!